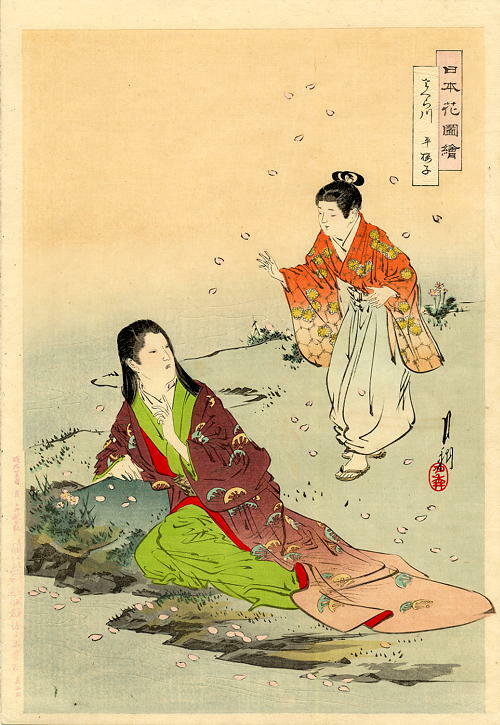 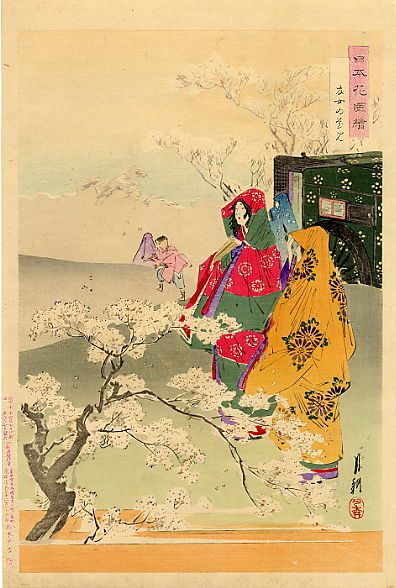 This series of 36 prints goes by several names in translation, Flowers of Japan and Scenery from Japanese Gardens included. 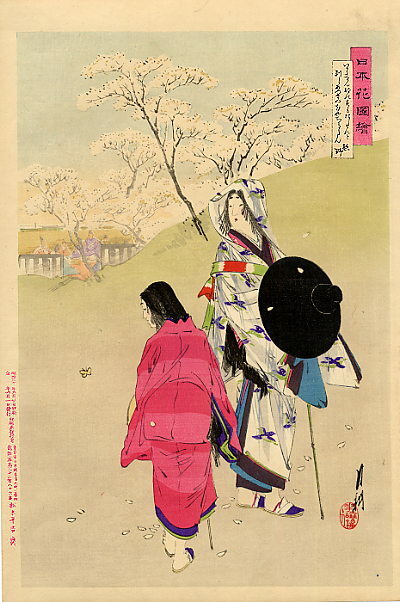 Prints were issued from 1892 until the end of the decade and at least 3 publishers issued prints. 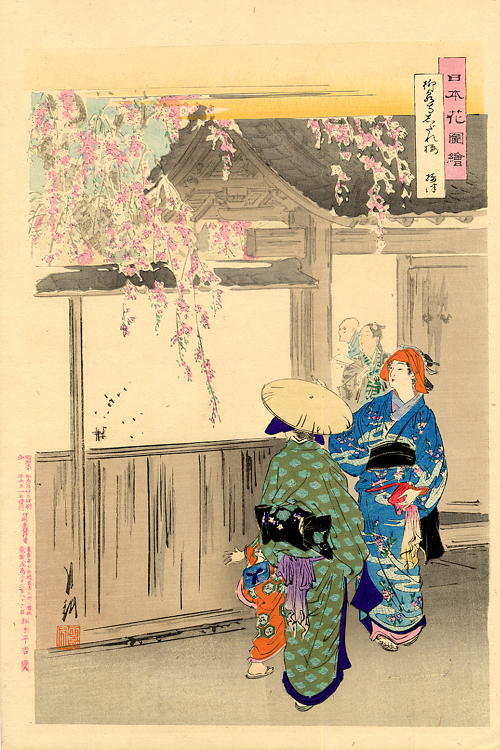 Quite a number of prints can be found in different editions but it is unclear at this stage if each publisher issued a full set of prints. 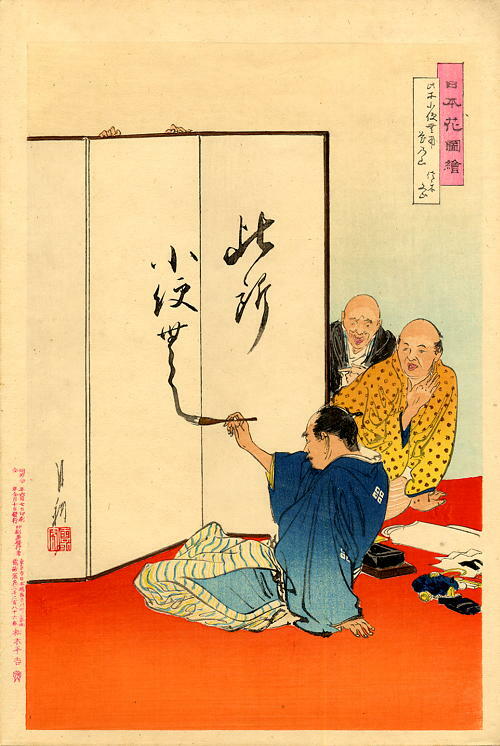 Certainly some editions seem more 'luxurious' and use mica, gofun, metallic pigments and burnishing. 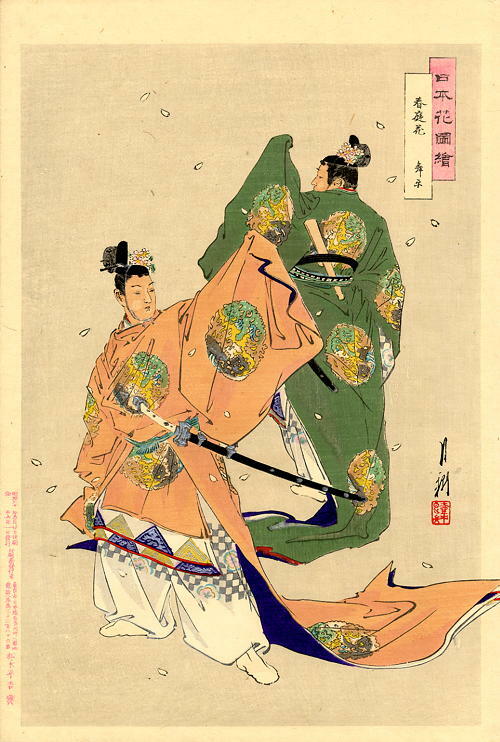 The known publishers are Matsuki Heikichi, Sasaki Toyokichi and Akiyama Buemon. 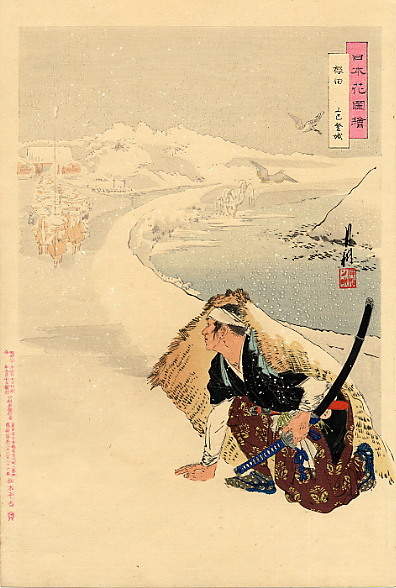 Sasaki Toyokichi also produced a 'creped' version of the series where the prints were pressed between two beveled boards, the final print size being closer to chuban than the original oban. 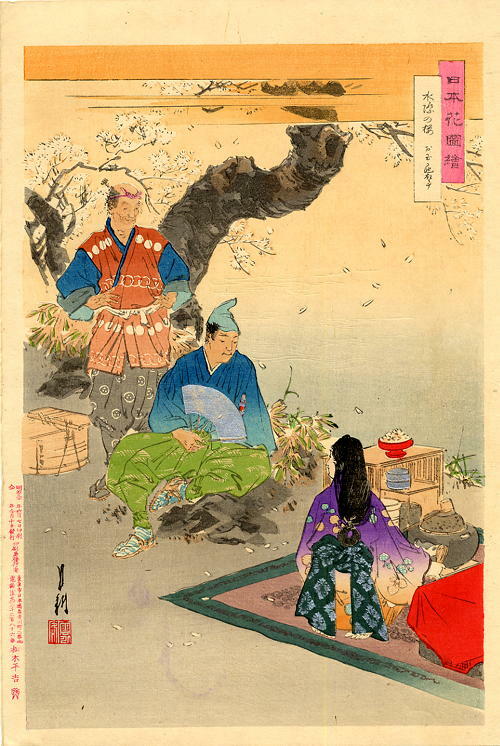 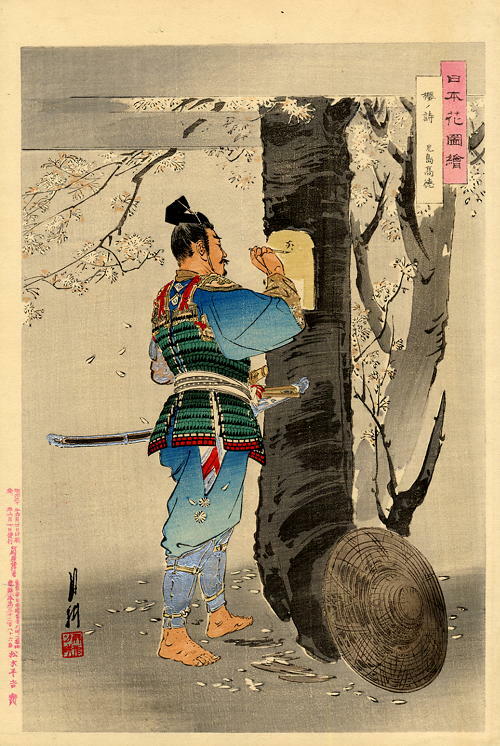 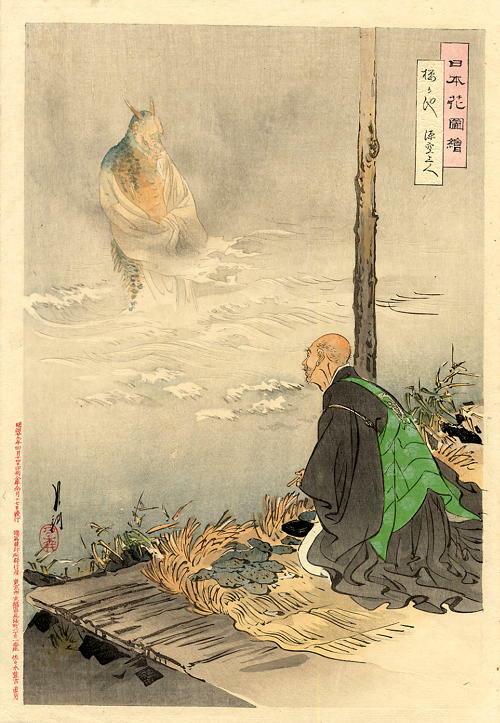 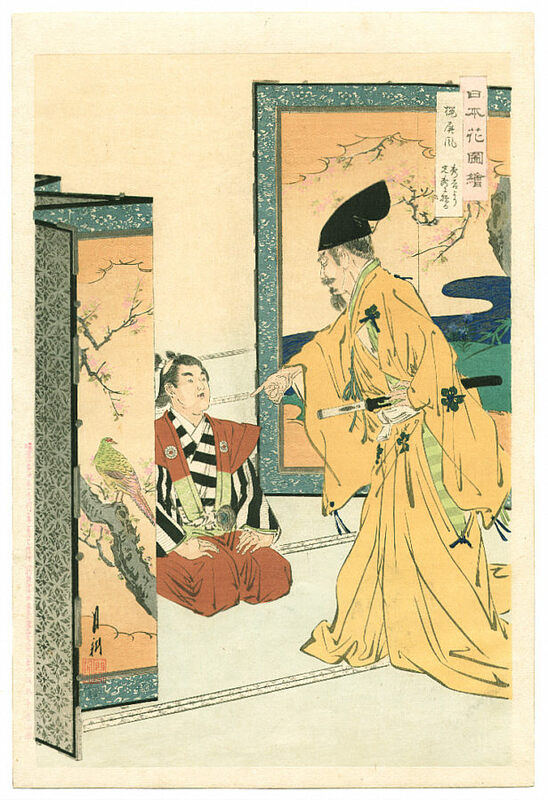 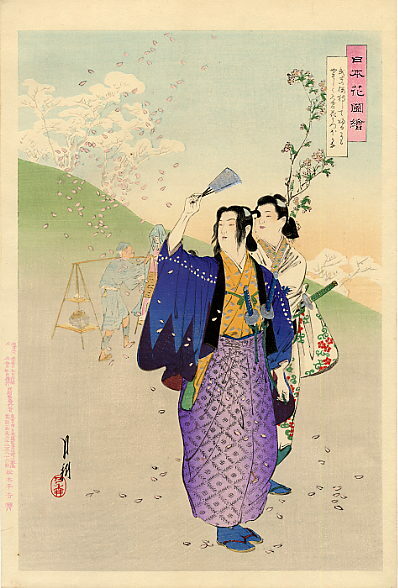 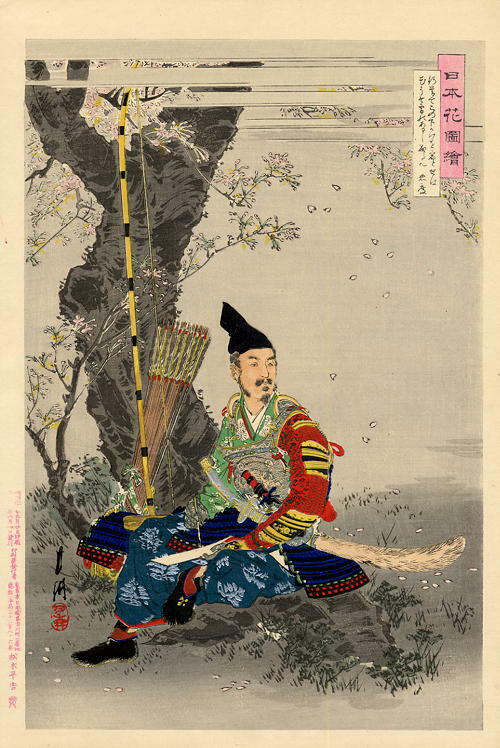 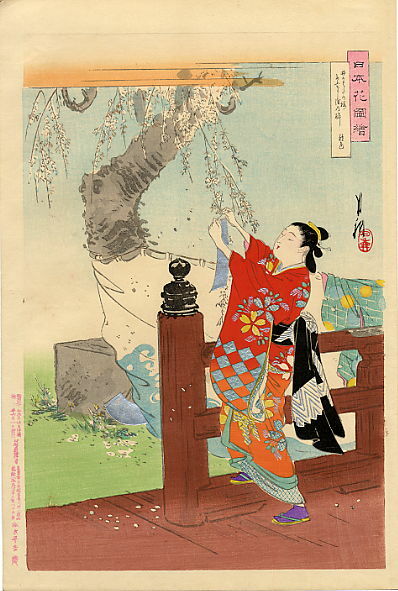 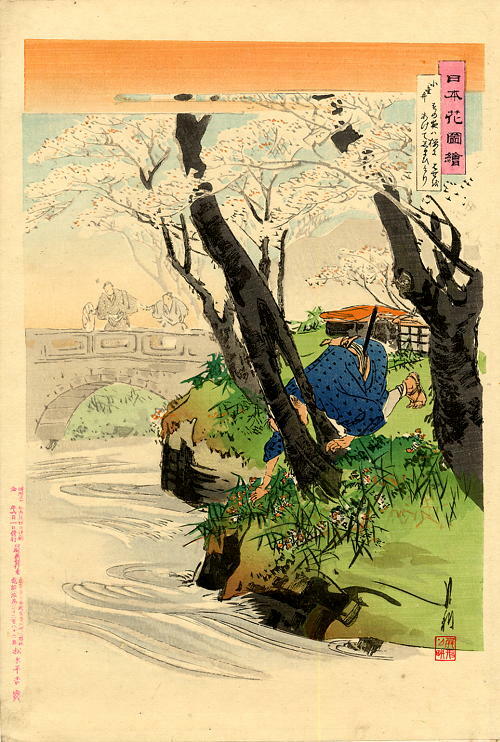 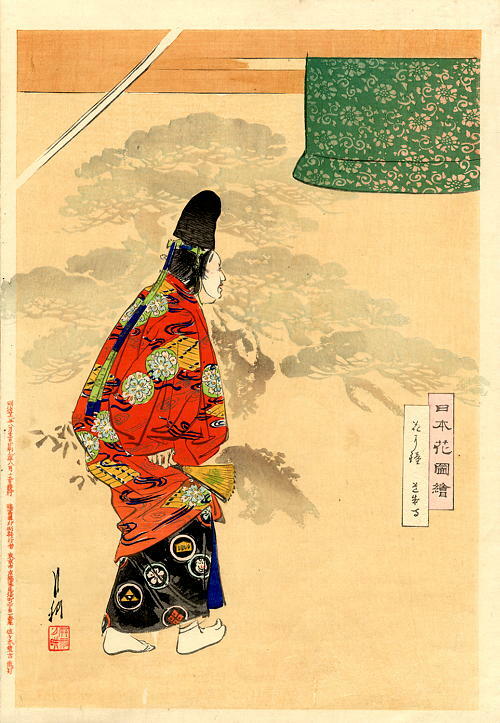 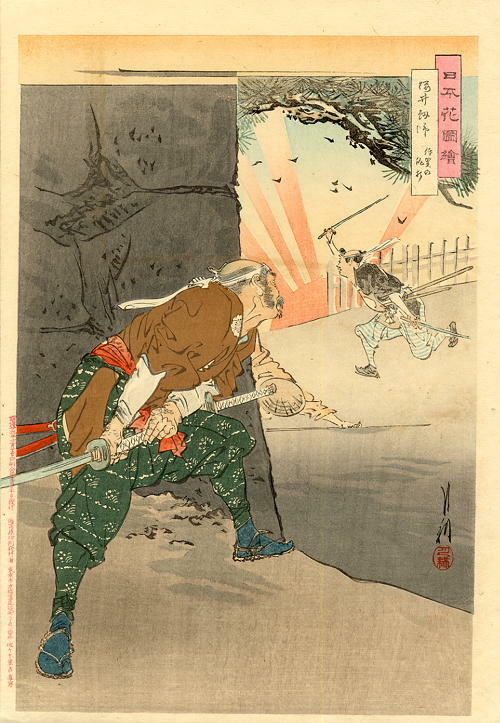 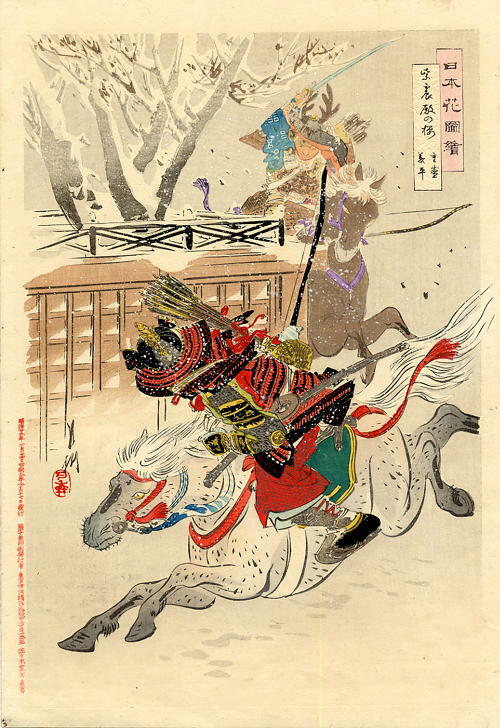 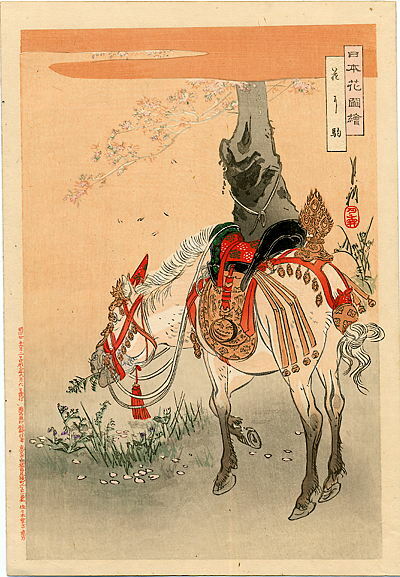 The images include historical figures, events, pastimes and even an 800 year old cherry tree. 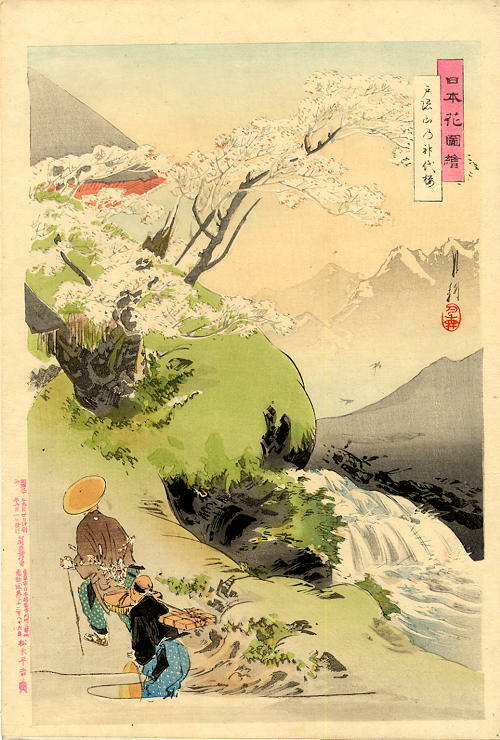 I have not named these prints as there is no clear accepted interpretation for many of them at this stage.